Bold and the Beautiful spoilers say Zoe Buckingham (Kiara Barnes) freaks out when she discovers Flo Fulton’s (Katrina Bowden) Logan family connection. As revealed last week, Flo’s father is Storm Logan (William deVry). Once Zoe hears about this, she might have one epic meltdown on the CBS soap. B&B spoilers show Zoe Buckingham has been a walking stress ball since learning what her father Reese Buckingham (Wayne Brady) did. It seems Flo Fulton got caught up in the scam with Hope Logan’s (Annika Noelle) baby. However, instead of confessing to Hope that her child is alive, she decided to keep her father’s secret. Now, things look like they’re bound to get much worse for Zoe. When she learns that Flo’s father is the deceased Storm Logan, Zoe has one huge meltdown, according to recent Bold and the Beautiful spoilers. This is possibly the worst news for her. Now, Flo is connected to Hope Logan for the rest of her life. They’re family. So, she may feel she needs to confess to her past sins more than ever now — or she may feel that she can never confess to what she has done. Zoe has already worried that Flo would spill the truth countless times. Now, she could confess whenever she wants to. This doesn’t sit well with Zoe, and it may make her unravel slowly as she continues to keep her father’s dark secret on B&B. More than a few times in the past, Zoe Buckingham has stumbled upon Flo Fulton and Hope Logan chatting on Bold and the Beautiful. 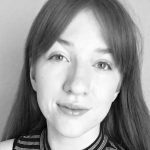 Spoilers say it seems harmless, Zoe knows that it could result in the truth coming out. She knows that Flo wants to confess and has even tried many times. Now, Zoe may feel even worse about the whole situation. When she first learned of the past connection between Flo and Wyatt Spencer (Darin Brooks), she had a massive flip out, too. However, it appears that this father revelation might result in a bigger meltdown than the Wyatt one. According to B&B spoilers, Zoe’s world explodes. She’s dreaded the truth coming out and even planned to go to London because she thought Flo was going to tell the truth. Now, there’s no telling how she’s going to deal with this latest bombshell. B&B spoilers promise Zoe Buckingham and Flo Fulton feel a massive amount of guilt over the mess with Hope’s baby. However, neither has decided to come clean yet. Their fear of repercussions seems to be bigger than their guilty conscious. Time after time, Flo has tried to confess to Hope what she did on Bold and the Beautiful. Spoilers recently said she was so close to revealing Hope’s baby was alive. However, Hope continued to cut her off, refusing to really listen to what she was saying. Then, the father DNA reveal came out and stunned everyone. 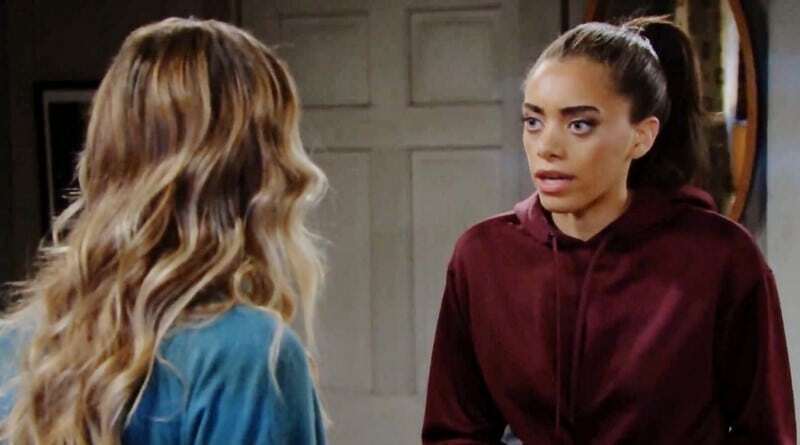 New B&B spoilers hint that things may fall apart when Shauna Fulton (Denise Richards) learns what her daughter has done. If Zoe discovers that Shauna knows, she could freak out more. These events may trigger Flo Fulton and Zoe Buckingham to melt down on the CBS sudser. Return to Soap Dirt daily for all the latest Bold and the Beautiful spoilers and breaking news. ‘Bold and the Beautiful’ Spoilers: Bill Sheds A Tear For Ruthless Steffy – Can He Win Her Back? ‘Bold and the Beautiful’ Spoilers: Steffy Leaves LA Distraught Jacqueline MacInnes Wood Has Maternity Leave?